So USC is getting a new AD this fall. Outgoing is Mike Garrett, and incoming is Pat Hadan. That I pretty much don't care about. 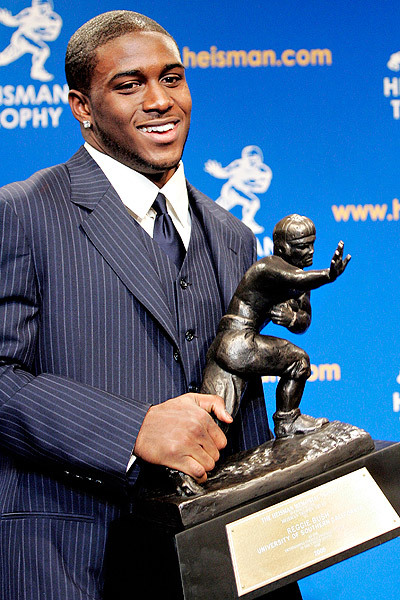 What I do care about is that incoming AD Hadan is going give back USC's 2005 Heisman Trophy that Reggie Bush won. It should be noted that USC has a trophy and Reggie Bush has a trophy. I don't know what Bush is going to do with his, or if he'll be forced to return it. I also don't know if USC is willingly returning their trophy, or if the Heisman Trophy Trust is asking for it back. Either way, who cares. USC getting in trouble and being forced to give back everything they bought and paid for 5 years ago is considered a step in the right direction as far as I'm concerned. 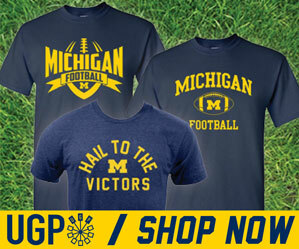 Now if only Ohio State would also be forced to do the same from their store-bought BCS title in 2002.